WOW! 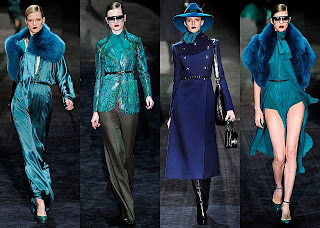 What can I say i'm in love with this seasons Gucci collection. 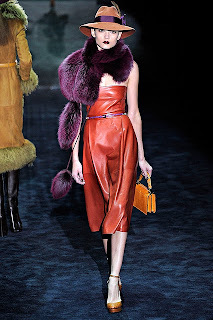 I love the bug fur collars and the lobg floaty chiffon dresses that came down swishing down the catwalk. I also love the colour scheme especially the deep purples and turquoise shades.